A few kilometres off the Eldoret-Iten road in Kenya’s Uasin Gishu County, the surroundings are currently dusty and hot. As in many other parts of the country, it has not rained in the area for months. Therefore, most farms are showing nothing but scorched plants. He explains. “I use solar power to pump water from my reservoirs into the farm to water the fruit trees that sit on 38 acres out of the 50. The solar panels also light the farm and power all my machines.” His is a farm that runs purely on green energy, with the established farmer saying use of solar power has helped him save an average of Sh100,000 (€870) a month that would have gone on electricity bills. 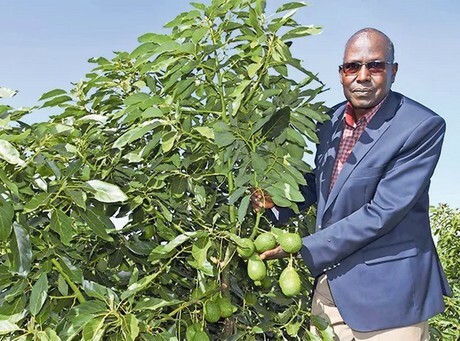 The farm is dotted with hundreds of avocado trees of various sizes, with the farmer saying he spent over Sh2 million in April 2017 to start the venture after visiting the Murang’a-based Kakuzi Company, which has some 3,000 contracted farmers. The bulk of the cash went on the 114 solar panels on the farm and a computer system. He started with 1,200 avocado seedlings and then last year in March, added 4,600 more. Each fruit tree has a drip line that releases drops of water to the plants. The lines are connected to three huge water tanks with a capacity of 170,000 cubic litres. 2019-04-23 China: "Price of pineapples from Hainan shows rising trend"